Hey, guys, as you may have seen we are offering you the cheapest Runescape Gold, we possibly can right now and we hope you are taking full advantage of it! But that is not what we are here for today. We wanted to share our thoughts on a pretty cool Slayer Dungeon, The Sophanem Slayer Dungeon! 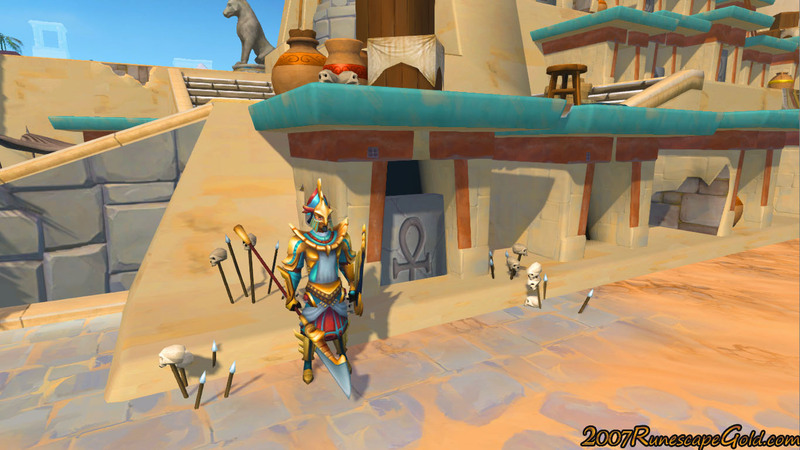 We love the new Menaphos update and most of us in the 2007RunescapeGold.com office who have played through this dungeon have really enjoyed it. Now it is worth noting that to start the dungeon, you need to have completed Icthlarin's Little Helper and also have level 88 slayer. It is a pretty fun dungeon to do and we have seen some videos of some players just running through it, but we like the challenge of taking on some of the tougher enemies like the Imperial Mage, Warrior, and Ranger that are hanging around here. Which by the way for some of you might not be an easy feat as they are level 130! There is a lot of chests in this dungeon and some great drops that are pretty much always guaranteed. Corrupted magic logs, vital spark, corrupted gem and the key to the crossing which you need to battle the Magister, which we have not done yet but we plan on having a guide and some thoughts about it up real soon. The Sophanem Slayer Dungeon is a lot of fun and while it is not the longest or in all honesty the most lucrative in Runescape. It is still worth having a run through as the enemies do drop some pretty good loot that can be useful later on. We know this has been out a few weeks now so we would love to hear your thoughts on The Sophanem Slayer Dungeon in the comments section. Also be sure to check out our special offers and see why we are the best place to buy RS Gold.